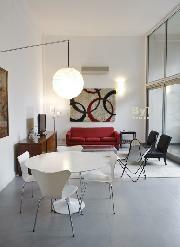 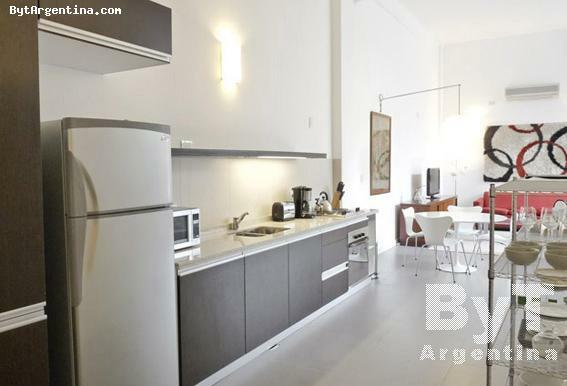 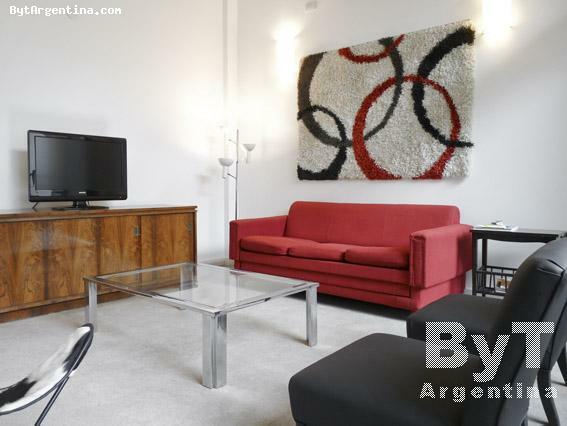 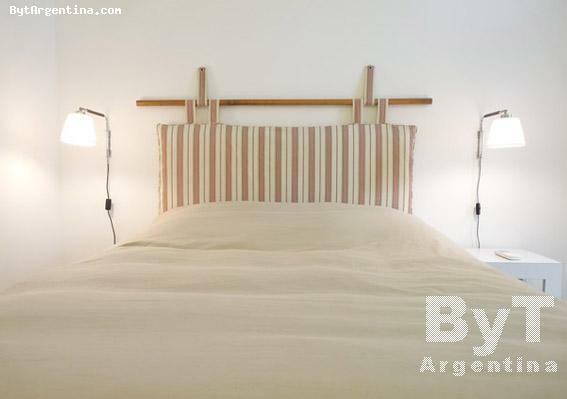 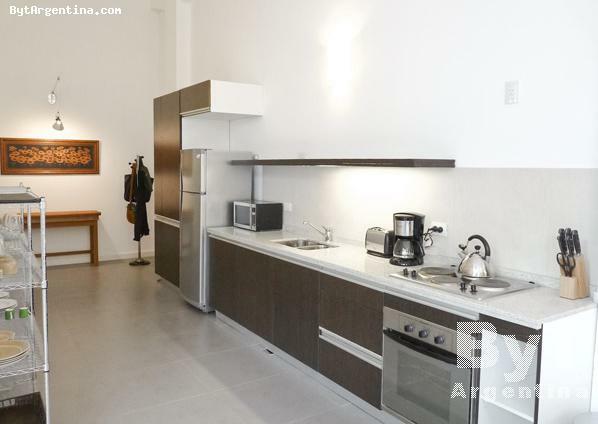 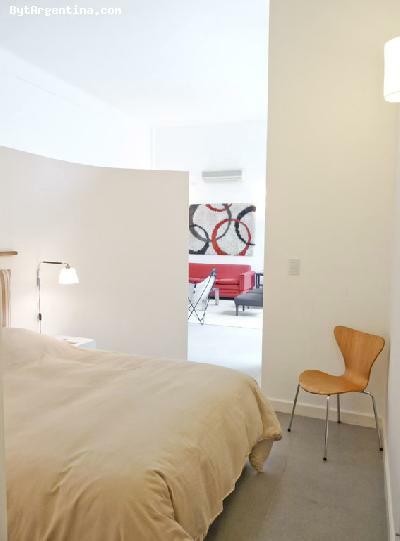 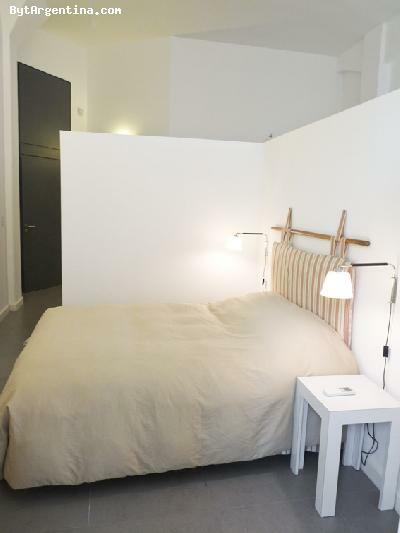 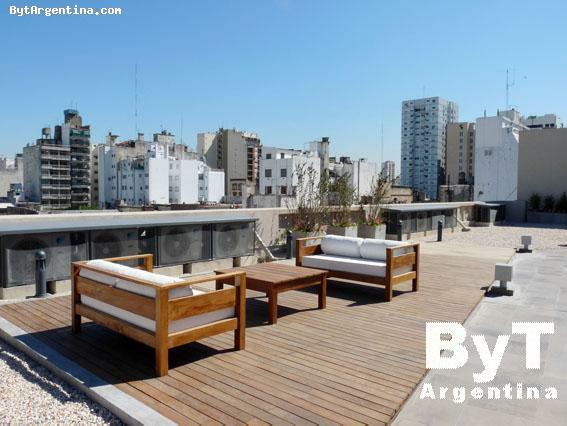 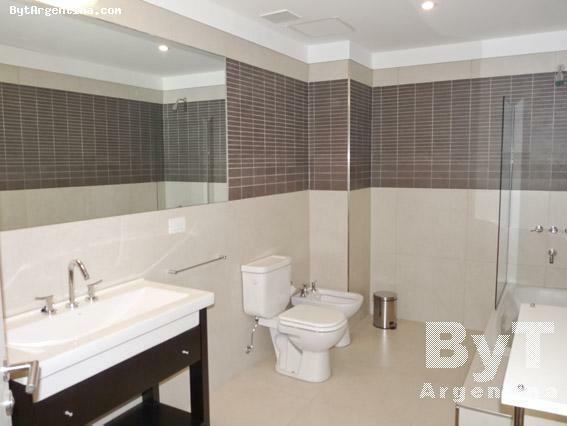 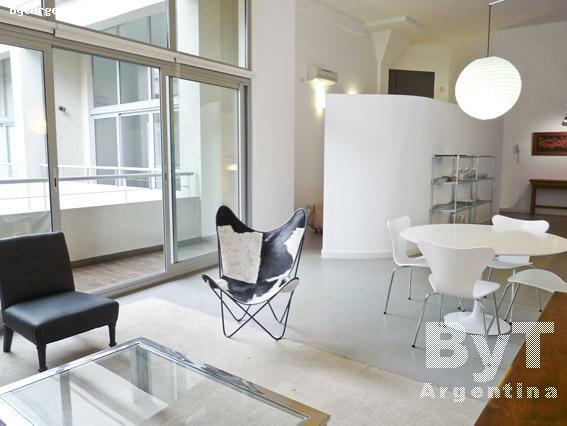 This beautiful Loft style apartment is located in the San Telmo neighbourhood, an area known for its colonial houses and a bohemian environment, close from the famous Plaza Dorrego square where every Sunday afternoon it takes place an antique market and visitors can enjoy tango shows performed by local dancers. 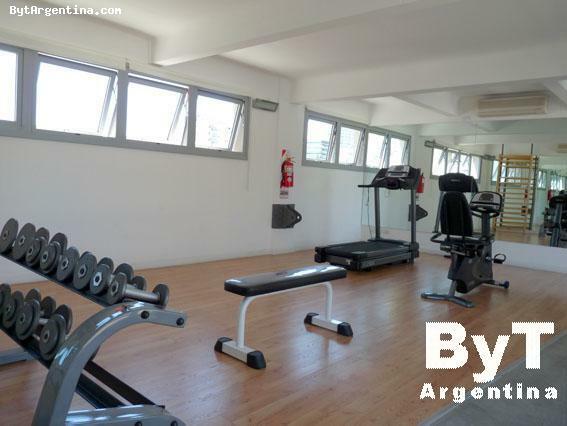 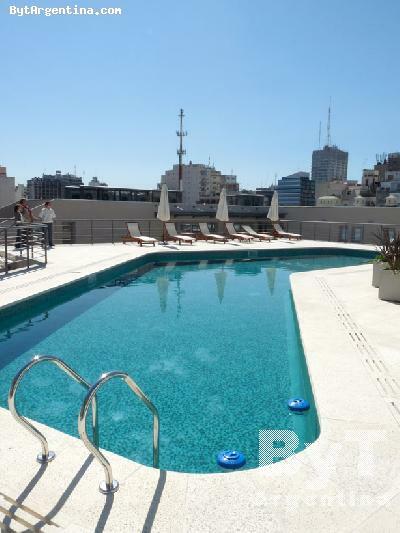 The flat is on the second floor in an old power plant fully remodelled, now a residential building with a huge terrace with swimming pool, gym, sauna, laundry, BBQ and 24 hours doorman. The apartment offers a living-dining room with high ceiling and large windows, beautifully designed furniture, with a double sofa-bed and a round table for four people, one bedroom with a double bed and a walk-in closet, an equipped American kitchen, one full bathroom and a lovely balcony. 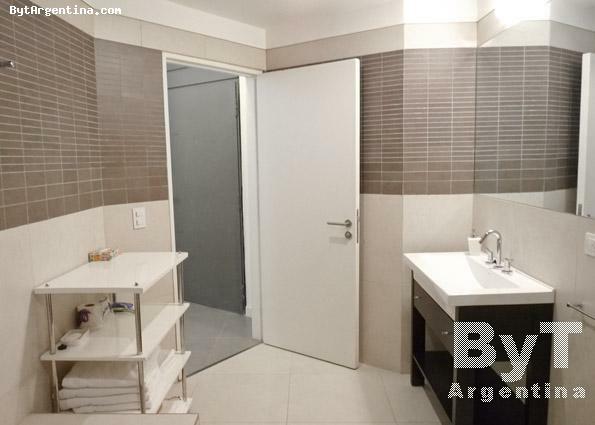 The apartment is equipped with Internet (Wi-Fi), cable TV, air conditioning, fridge with freezer, microwave, dishes, kitchenware, linens and towels. 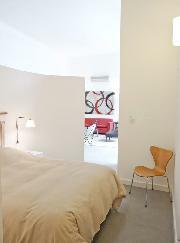 A cell phone tha works with pre-paid calling cards is provided. 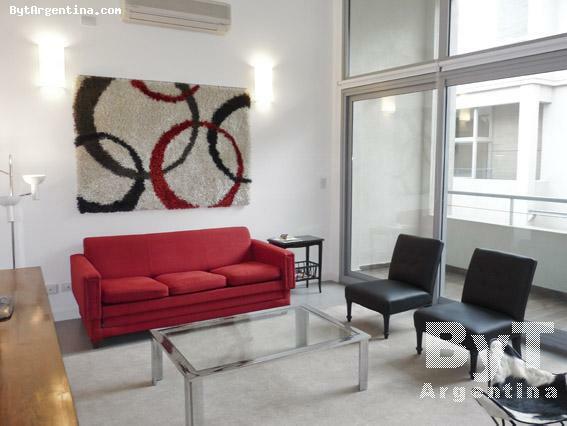 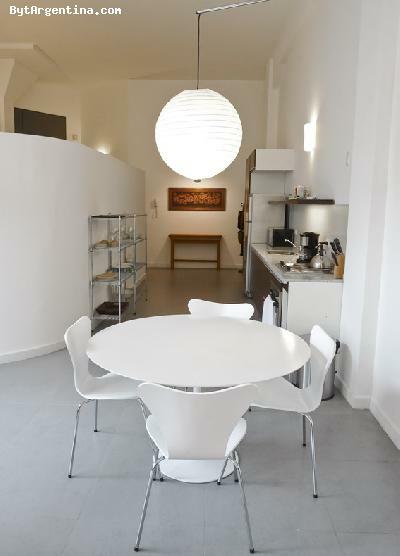 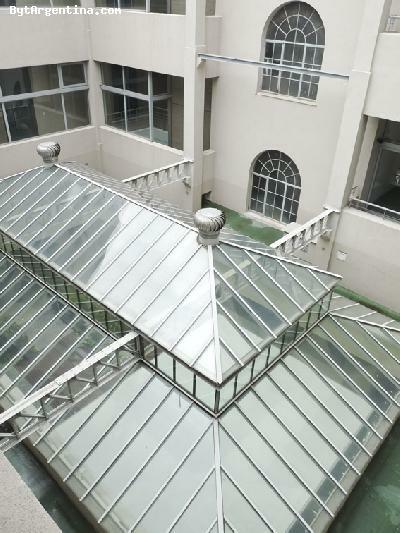 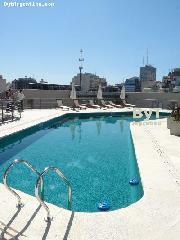 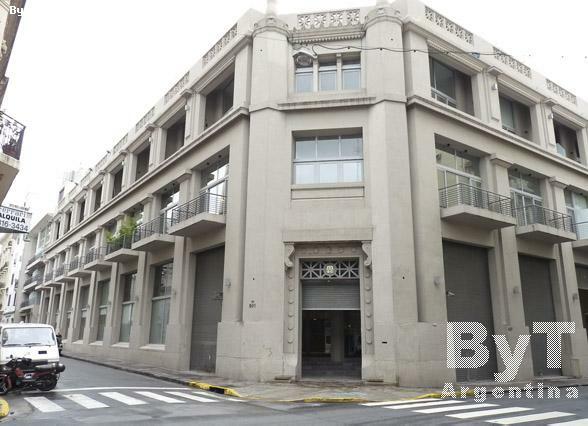 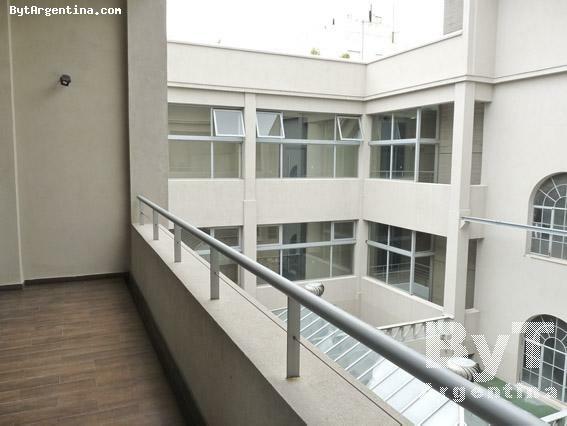 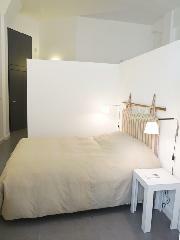 A very comfortable option, bright and quiet in a great building with an excellent location. 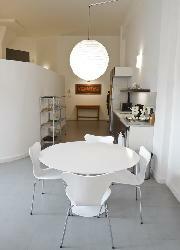 Observations: A cell phone is provided (pre-paid calling cards with cost).